I have to admit, I never had these before I met the illustrator. I am noticing more and more when I write that my mother-in-law influences a lot of my cooking/baking. I guess that's because I like suggestions from the illustrator since it is hard for me to focus on what to make all the time! 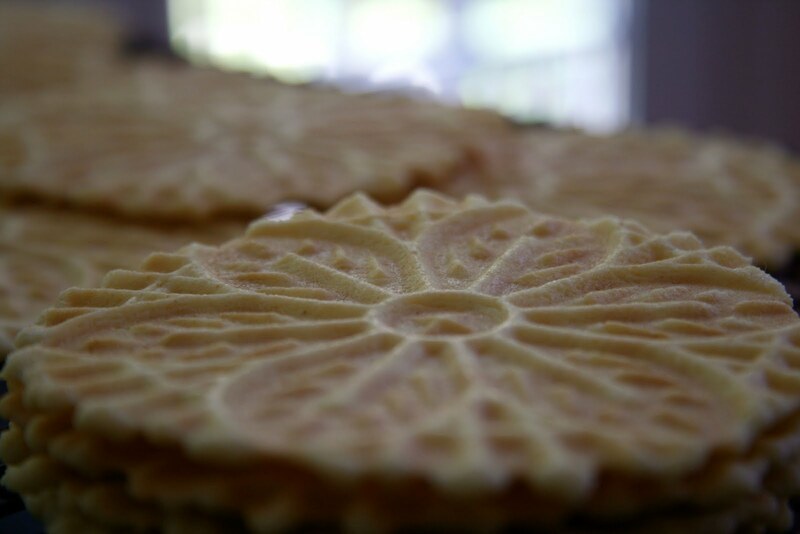 I was introduced to pizzelles years ago when my mother-in-law gave me my first pizzelle maker. I can honestly say that we wore that machine out. This one is a new one that my sister-in-law gave us as a gift (a year and a half ago) and it has never been used until now. I am glad that I waited to use it so it has never had regular flour on it. My procrastination paid off this time! Since the illustrator was diagnosed with celiac, I don't use the same waffle iron for him that I use for the boys either. We all eat mostly gluten free now...it is just easier and well, healthier. Cross contamination is a huge NO NO in my house. So, you can see why I was happy that this was completely clean! Anyway, pizzelles...from what I have read, they are a small, round and flat cookie made with batter originating in Italy. I would have to agree with that. Think waffle cone, but smaller and flatter. They are also super easy to make and a really tasty treat! This machine came with a wooden shaper for small cones, but since I went for a thicker cookie, they did not bend. I also made them gluten free, so that may be another reason why they were not stretchy. Oh well, the cone would have been too small anyway. I don't know why I don't make these more often. They are so loved in this house. 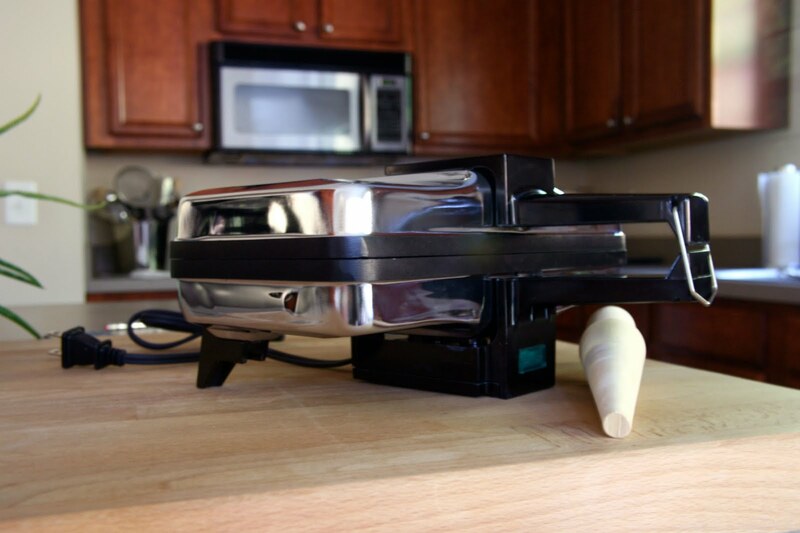 They are perfect for making ice cream sandwiches or dipping in your ice cream (or coffee). 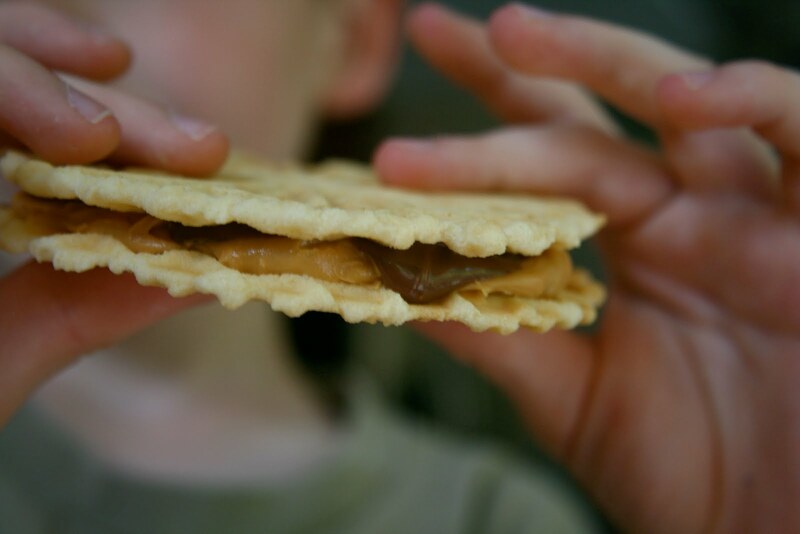 However, I think the favorite way to eat them is with chocolate spread and peanut butter! These are not super sweet like a waffle cone would be. I like to make them a little less sweet since we aren't a sweet devouring family and when you add sweet things to them, they are perfect! Mix it all together and then cook according you the directions for your machine. We are going on a work trip to Charlotte next weekend and I think I am going to take these along for snacks. Now that the illustrator needs hobo snacks (that is what he used to call all the snacks I take with me on trips), I have to come up with options for both of us to travel with. I always bake stuff for that trip since we don't get a whole lot of time to eat during the day and we like to keep our spending to a minimum. I am also giving these a try with a flax egg to make them vegan...just cause I can't leave anything alone. Besides, everybody could use a little extra fiber in their lives, right Laura? Have you ever had pizzelles? If so, what is your favorite way to eat them? I am thinking some seven minute icing would be a perfect spread too! I do love my fiber! LOL! 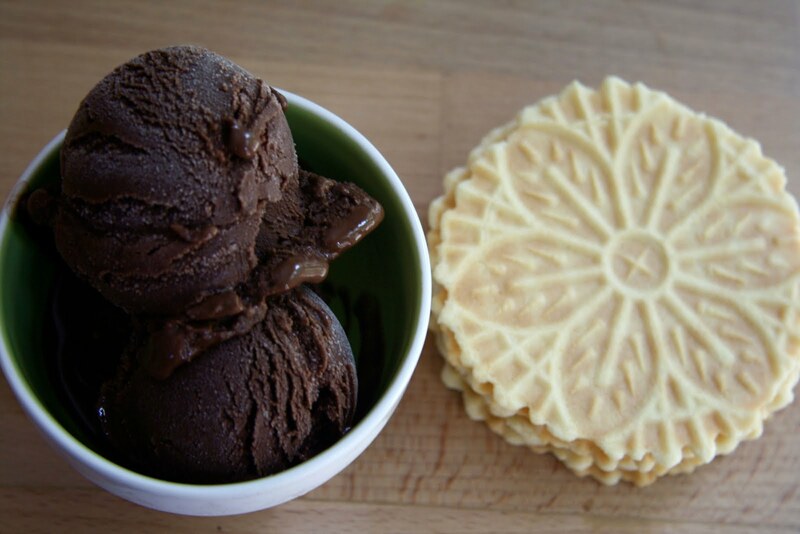 I've never had a Pizzelle, but I'm hoping you bring an extra for me to try in Charlotte! ;) Can't wait to see you guys! how have i never heard of a pizzelle before? i can't believe they have machines for that - looks beautiful. Now you have me wanting to make pizzelles! I got a pizzelle maker for christmas 2 years ago. They're amazing! Ohhhh, pizzelles are SO beautiful! I've only bought them, never had them fresh from the press. Yours look great! surely I have tried them, but I can't recall when. They look so pretty! Thank you for sharing the recipe. i havent seen these things is forever!! prolly cuz theyre not gluten free typically. omg ur my HERO!! i love this so much.. those look so darn tasty. much better gluten free than regular.. i think urs look better! omg my grandmother used to make these for me as a kid! wow!!!! blast from the past. the Gluten Free Pizzelles you made look amazing!!! rock on with the GF action girl! I've never actually heard of pizelles or a pizelle maker but they look SO good! wow fancy those are so cute and delishes I bet. i never knew you could eat pizelles!! I thought they were just for decorations!! regardless they look super yummy :) never would know they are gluten free either! win win! ooooh! can you tell me more about the gorgeous dark ice cream in oneof the photos?